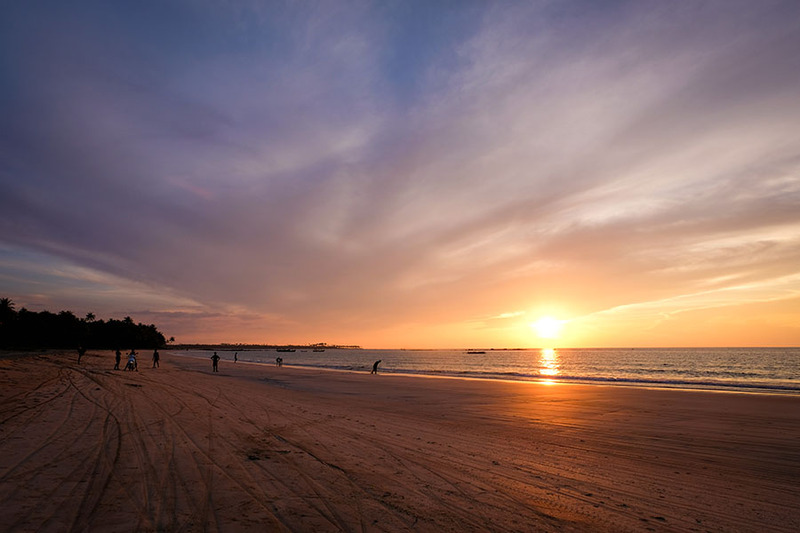 This is the most casual and fun of Myanmar’s beach towns. It’s popular with families and groups of friends from Yangon and can be busy around holidays and weekends. After swimming and water activities in the sea, you might see camp fires, and even impromptu karaoke sessions on the beach in the evenings. Ngwesaung is a little more upscale than neighboring Chaung Tha and has a reputation for being a peaceful and clean beach with clear waters not yet mobbed by city folk. 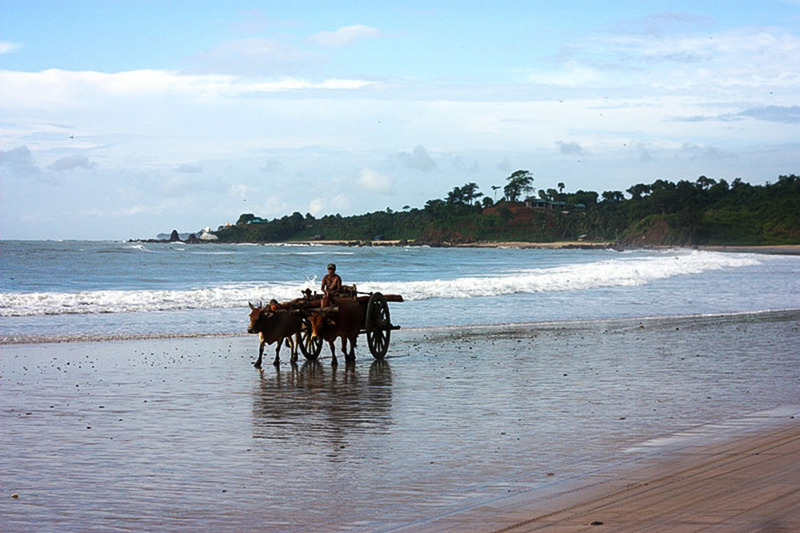 Close to the village you’ll find vendors selling seafood and offering water sport equipment. The further along the beach you walk from the village, the easier it is to find your own private slice of beach heaven. 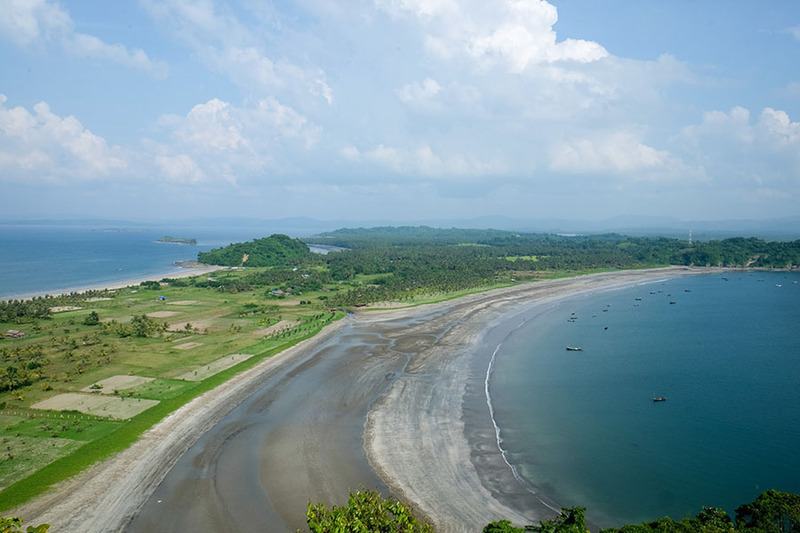 This is a new beach destination for Myanmar. It was little more than a deserted stretch of beach and a white-sand bay until a few years ago but now a few low-key accommodation and dining options have cropped up and the guesthouses can arrange water activities to suit your level of adventurousness. The road to Gawyangyi is still very rough and deters all but the most determined beach-goers, making it a rewardingly quiet and romantic getaway. 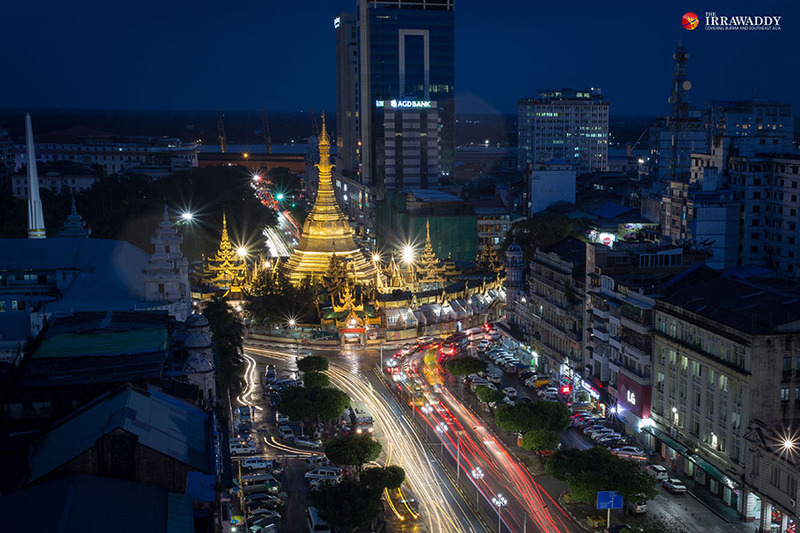 The commercial capital Yangon is a booming city and the center of modern Myanmar. Though sometimes hot and crowded, this dynamic, diverse city also has the best hotels, restaurants, galleries and cultural events in the country. And the glittering Shwedagon Pagoda looks out over it all. Though just a short trip from the hubbub of downtown Yangon, Twante feels like a million miles away. This town is famous as a center of pottery and workshops take up entire quarters here. Inside the workshops you can witness the entirely non-mechanized process from start to finish. There’s also a snake temple on a lake outside the town and a pagoda complex with a thousand Buddha statues to wander through. 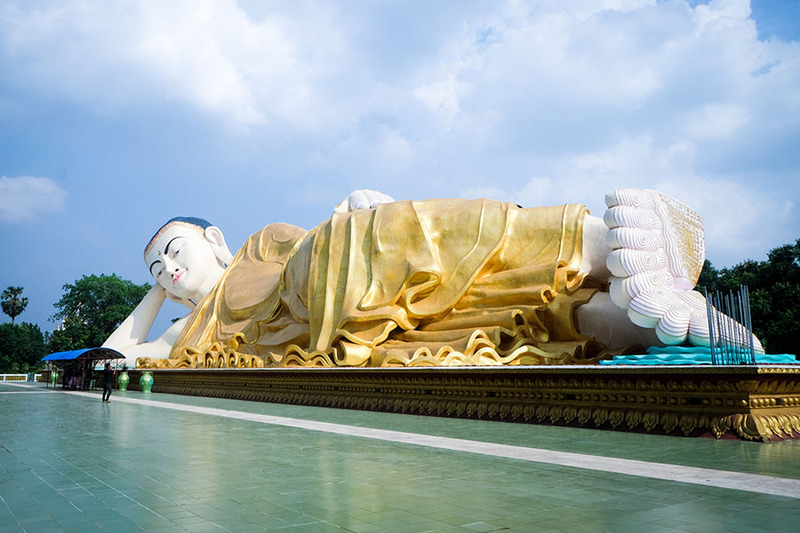 Bago, often called by its colonial-era name Pegu, is all about the huge and beautiful religious landmarks which draw large numbers of Buddhist travelers from near and far. The mighty Shwemawdaw Pagoda is some 46 meters taller than Yangon’s Shwedagon and there are two huge reclining Buddha images. At Shwethalyaung, the indoor reclining Buddha, you’ll see a huge wall of names of donors from all over the world. Everything in the town can easily be reached by tuk tuk or bicycle which can be hired at most hotels. 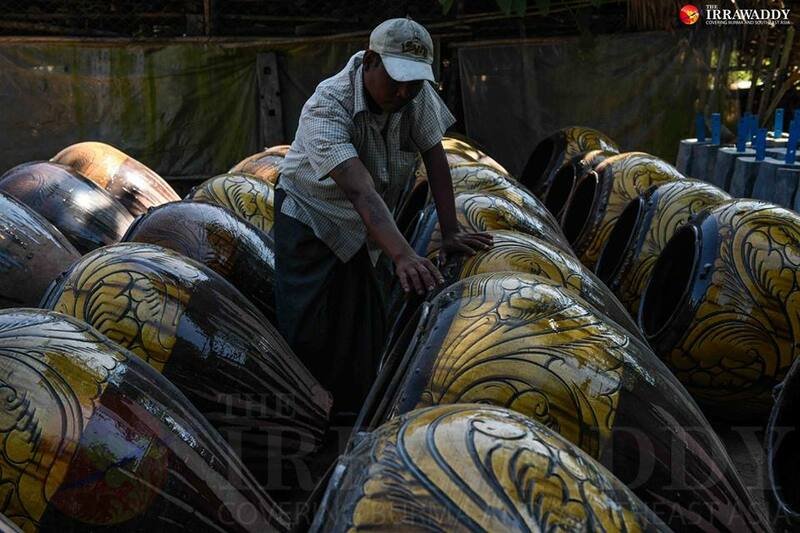 Taungoo, the town serving visitors to Thandaunggyi, is easy to get to from Yangon and so is growing in popularity. Once the capital of a huge kingdom stretching far beyond Myanmar’s modern borders, Taungoo is now a sleepy town surrounded by rice paddies and with some crumbling colonial mansions which have been dramatically taken over by nature. 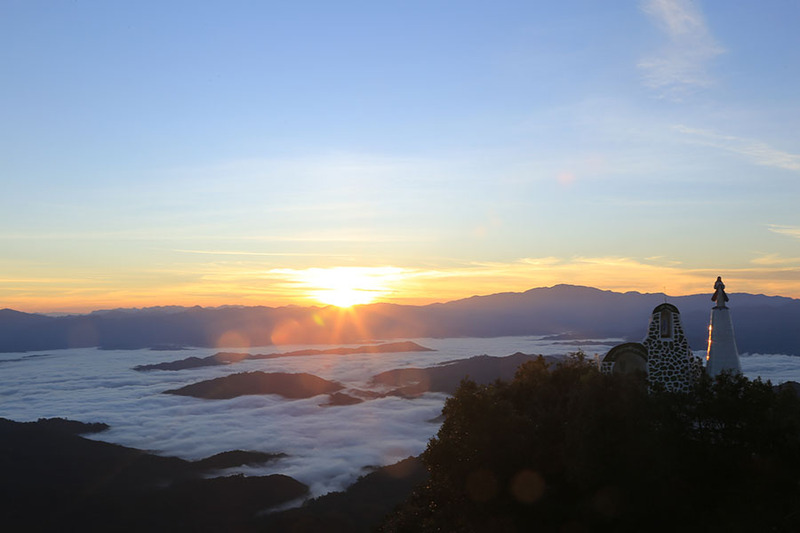 The peaks of Thandaunggyi and the nearby Naw Bu Baw prayer hill, which actually lie across the border with Karen State, are the main attractions for visitors to the area. 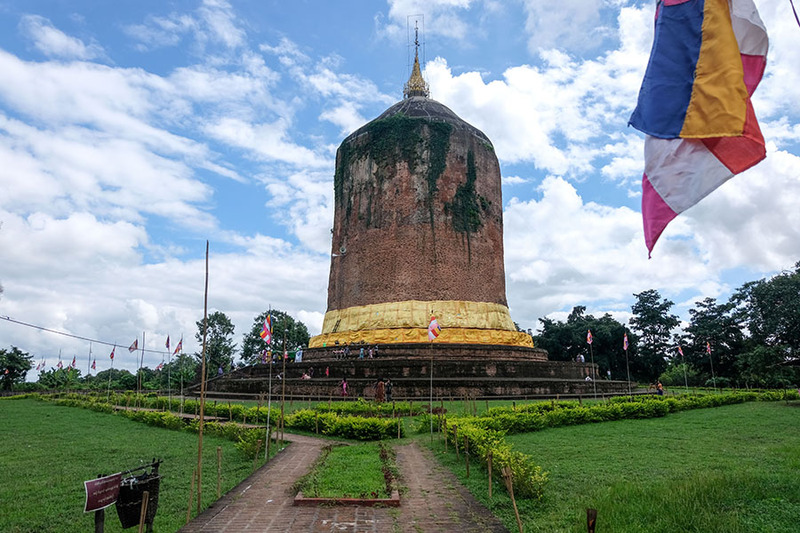 The remains of the ancient city of Sri Ksetra, once a stronghold of the mighty Pyu Kingdom, today makes up part of Myanmar’s only UNESCO World Heritage Site lies in the countryside surrounding Pyay. The temples, hulking and simple in design, are well preserved and unique to other collections of temples you’ll find in Myanmar. A short trip from the city of Pyay and a boat ride along the Irrawaddy River, Akauk Taung is a point along the banks where an impressive series of Buddha images were carved into the mountainside in the 19th century.